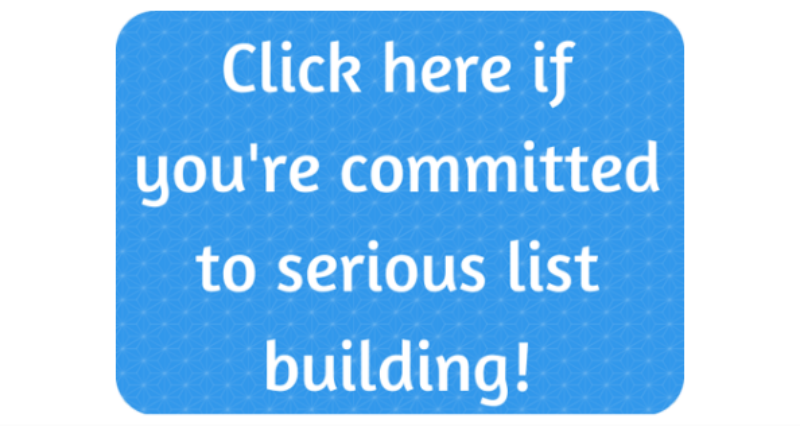 Build Your List And Convert Leads! You’re a smart business owner who wants to always know where your next client is coming from. 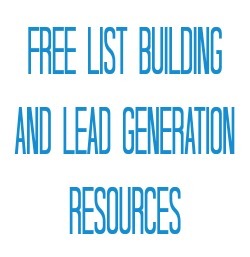 You know just how important lead generation and list building are but sometimes lack the knowledge or mojo to implement strategies that will create the results you seek. Perhaps you’re not that far down the business path but you’ve heard so many people talk about their one regret. The one thing that’s held them back most. That they wish they’d started list building and creating a lead generation funnel earlier. And you’re not going to make that mistake! Reality is… you can’t waste another year lying down instead of actively pursuing list and lead growth. It probably all seemed so hard and overwhelming in the past but I’m not going to let you suffer any longer. I’ve been there and I can promise you it’s fear talking. I’ve created exactly what you need. It will simplify your lead generation while guiding you to achieve your goals. Set lead generation goals each month and create action plans to reach them. 2 x 60 minute action and accountability audio recordings sharing how to get the most from your planner and FAQ session. 4 lead generation case studies to inspire and motivate. Private Facebook group to share ideas and increase accountability. My aim for you is to be confident, clear and successful in your lead generation efforts. To provide you with the tools, templates and inspiration I’ve used to create extremely powerful lead generation results. 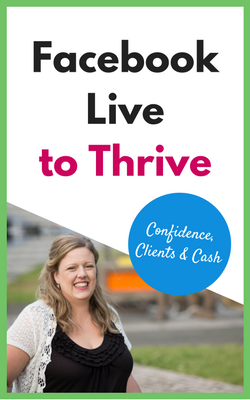 I help entrepreneurs and business owners like YOU stand out in the online crush and remove the trauma of YOU never knowing where your next client will come from! I help you create opt in strategies that bring in red hot leads daily. In the past two years I’ve developed 10 opt in incentives for my own business that have conversion rates between 28 and 42% but the majority are around the 38 – 42% mark. I want to teach you to create these results for yourself. In 2012, I co-authored and launched How To Host A Swingin’ Blog Challenge with Marissa Roberts of Beautifully Organised. I’ve been featured everywhere from The Maven Circle to Oh My! Handmade Goodness to KylieOfiu.com to Grassroots Internet Strategy and loads more places. I believe small business owners have the opportunity to level the playing field online. I also believe that many business owners are not putting sufficient effort into their lead generation. Don’t forget… no leads = no business! Tom Morkes, creator of The Creative Entrepreneur journal and world wanderer, shares user specific tie ins to create optin incentives you can’t refuse. Laura Simms, former Hollywood starlet and career change coach at Create As Folk, tells the strategies she uses to over-subscribe webinars. Belinda Jackson, multi- six-figure entrepreneur at Web Chameleon and business coach, leverages being interviewed and blogging to list build with a conversion rate of 45%. 1. Who is the planner and tracker for? This is for YOU if you want to generate leads online for your business. If you are serious about creating a bright, growing and sustainable business future this IS the tool you need. The planner and tracker ensures you know exactly where your next customers are coming from, how you’re going to attract them and measures your progress so you’ll always know if you are on the right path (or not). The beauty of the planner and tracker is it’s perfect for any online business owner whether you sell products or services. 2. I’ve taken tonnes of marketing courses, classes and coaching before so what makes this one different? I’ve taken some amazing marketing classes and read some wonderful marketing books, but none of them focused specifically on lead generation. That’s why I created the Lead Generation Planner and Tracker with two bonus calls. Did the other courses and classes you’ve taken focus specifically on your business and answering your lead generation questions? Did they have multiple layers of accountability built into every nook and cranny? Oh and there’s definitely no filler. Only the best and necessary have made the cut to ensure you get maximum lead generation results for minimal effort. 3. Will this help me if I’m just starting my business? Oh my I am SO glad you asked. Do you know what my biggest mistake was when I started my first business? I didn’t create or implement a strategy to build my mailing list. I missed so many opportunities to gather together ideal people who I could sell to in the future. 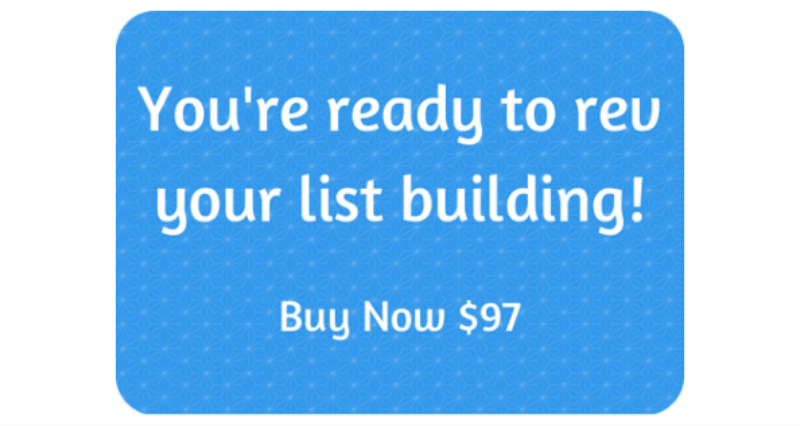 I’m begging you…don’t launch your business without knowing where your leads will come from. No leads = no business. Yes, I harp on about this but I learned the hard way and I want to help YOU shortcut the learning process. 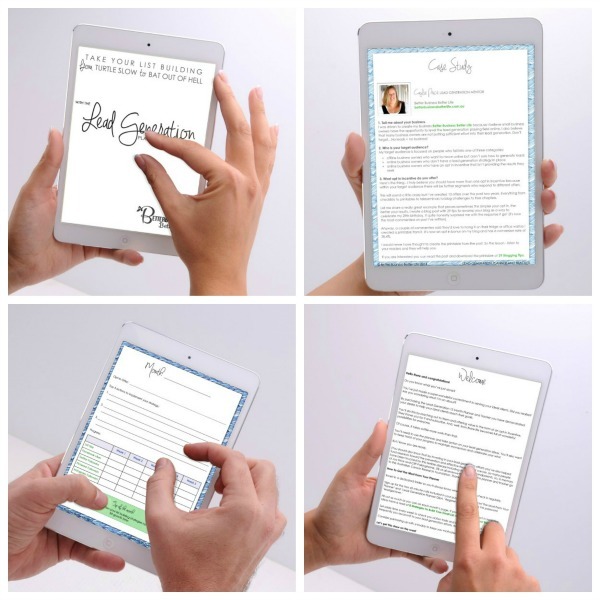 Now is the PERFECT time to invest in the Lead Generation Planner and Tracker! And if you’ve already started your business but aren’t sure where your next sales will come from you need the planner and tracker too. Yesterday was the best time to start your lead generation efforts, but TODAY is the next best option. Don’t leave it any longer. 4. Why should I care about lead generation? I like focusing on making, coaching and serving my customers. 5. Do you really know your stuff? In 2012, I co-authored and launched How To Host A Swingin’ Blog Challenge with Marissa Roberts of Beautifully Organised. 6. What kind of return can I expect on my $97 investment? Great question and one you should always ask. 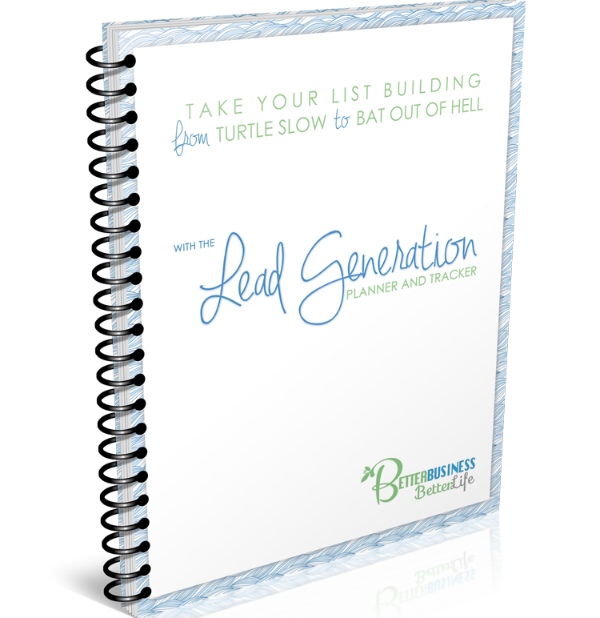 If you implement… complete the planner and tracker pages and implement the actions you decide are right for your audience (as you’ve written in your planner) you could add extra leads daily, weekly, monthly to your lists and lead pipeline. 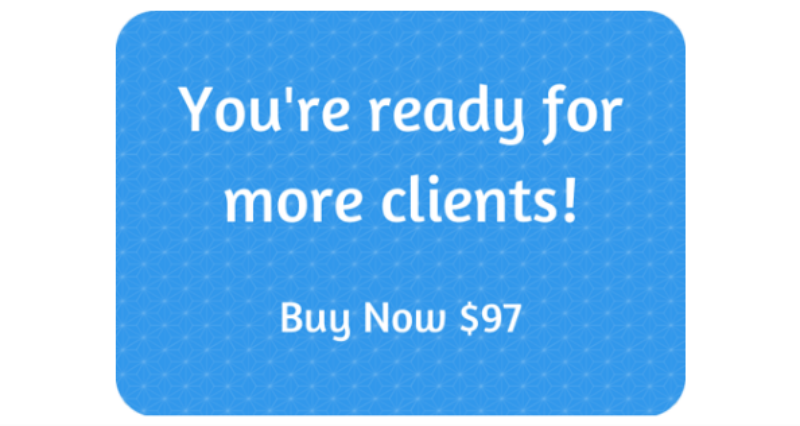 And if for example, one lead for your ecourse is worth $297 then you’ve already tripled your investment. Four new leads and you’ve repaid your investment 12 times. Not too shabby if you ask me. I’d invest less than $100 for those results. PayPal. It just rocks! You can also pay by credit card on PayPal (without a PayPal account) on mobile devices. If I haven’t answered all your questions here don’t be shy. 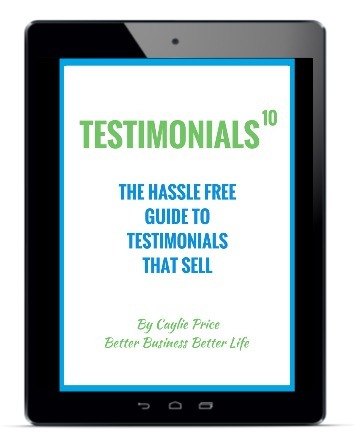 Hit me up with your questions via caylie@betterbusinessbetterlife.com.au.